The Public Employee Relations Board resolves labor-management disputes between DC government and agency employees. When filing a complaint with the Public Employee Relations Board, please refer to the PERB Rules in order to make sure that your filing satisfies the necessary requirements. The Public Employee Relations Board responds to all complaints that are filed with this office. Instructions on how to file a complaint to the Board. Learn more about PERB's mediation and hearing process. The Board resolves labor-management disputes involving agencies of the DC government. 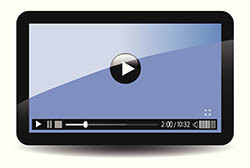 The Public Employee Relations Board has released seminar videos. Access the videos here. Find us at 1100 4th Street, SW, Suite E630, Washington, DC 20024.